Microsoft confirmed today that it had reached a mutual decision with Facebook, allowing the social network to take over responsibility for selling display advertisements on its own site. In October 2007 Microsoft announced a $240 million investment in Facebook for a roughly 1.6 percent stake in the Web phenomenon. The deal also expanded to selling advertising. 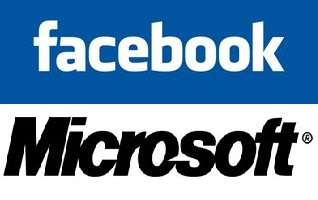 Microsoft was the exclusive third-party advertising platform for Facebook. At the time the investment meant Facebook was valued at $15 billion. In a company blog posting on Friday, Bing general manager Jon Tinter said "we made the mutual decision that Facebook would take over responsibility for selling display advertisements on its own site." Tinter also confirmed that Bing will continue to "exclusively power the web search results on Facebook." Tinter also hinted at things to come in the future for the partnership, "as part of this expanded cooperation in search, our two companies will soon provide Facebook users with a more complete search experience by providing full access to great Bing features beyond a set of links."